Hearts of Oak News February 28th, 2016! Post news Report RSS	Hearts of Oak News February 28th, 2016! 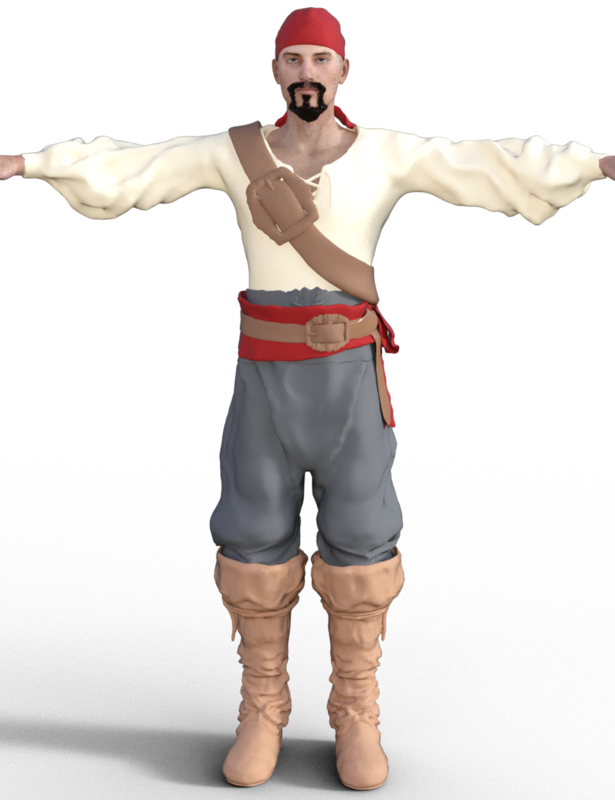 Ahoy mates, this update is far to long in the making, but there are some technical issues behind the long wait. After the last Demo release, we ran in to some major problems with the next build and experienced several issues again with scenes breaking, project files getting corrupted. Attempts at upgrading assets and code fixing resulted in just making things much worse. Unfortunately, what this means is it is likely going to take us a little while to get back to public Pre-Alpha demo releases. Currently, we have no estimated time-line for this, it really depends on how many issues we run in to, and how much development time we can all spend on it. I can tell you that our plans are for the next POC demo to feature the first phase of the combat system integration donated by team member Foamy. He is also donating some of his time to help with the integration and work on revising the combat system demo to include ranged weapons! Unfortunately, with us all having real jobs, and real lives to deal with as well, that development time is limited. I know long periods of silence like this may give the impression that we have slowed down, or even stopped working completely, but I assure you mates, nothing could be further from the truth! Usually when we get quite it is because we are spending even more time working on development, and that is certainly the case here! Over the past few months we have had several new team members join, and we now have a wider variety of hardware, thanks to our new QA Team, to test each build on. 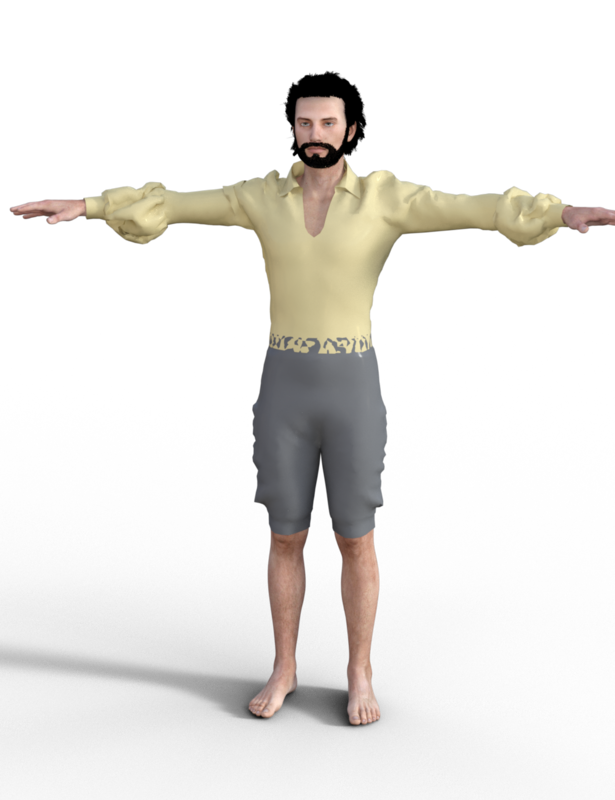 One aspect of Hearts of Oak that has lagged behind since we first started development is character creation. We had several characters in our last demo release, and thanks to one of our new members, Purely Evil Sea Dog, we have several more on the way! 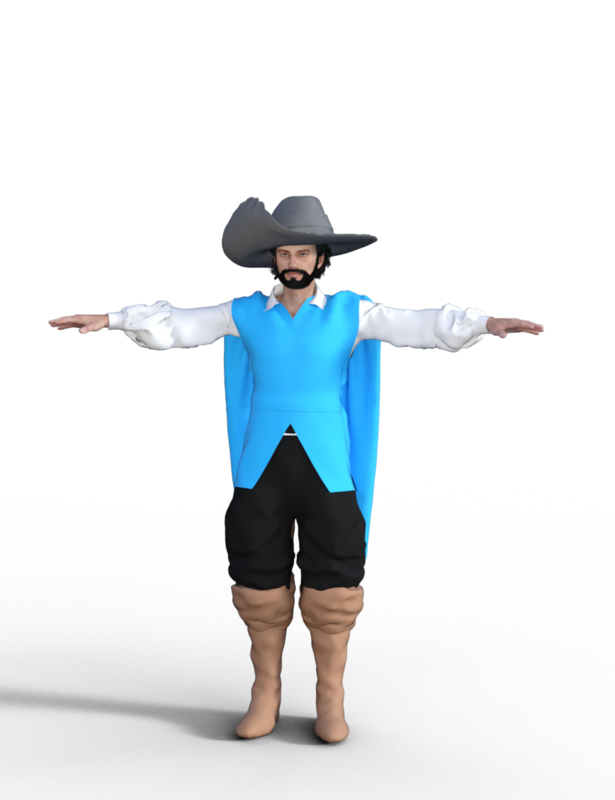 This is the start of a Spanish Musketeer. 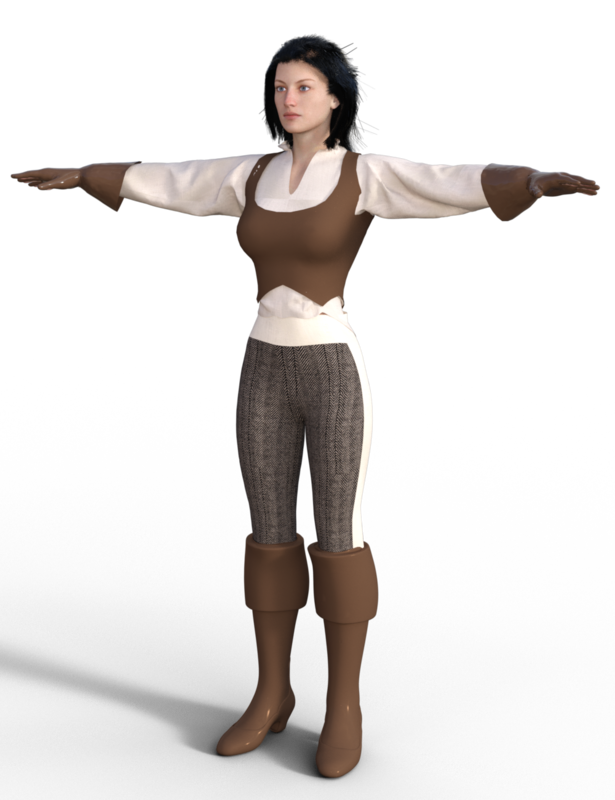 Here is some work a bit further along, with some base clothes. Another showing one variation of dress and some enhancements to his clothes. 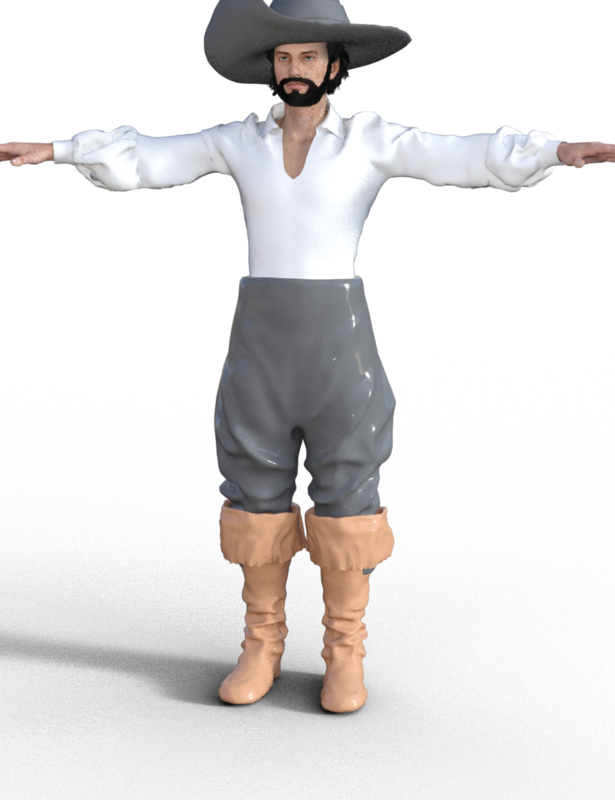 And here are a couple more, specifically designed as pirates! Notice the tremendously improved boots on this one! 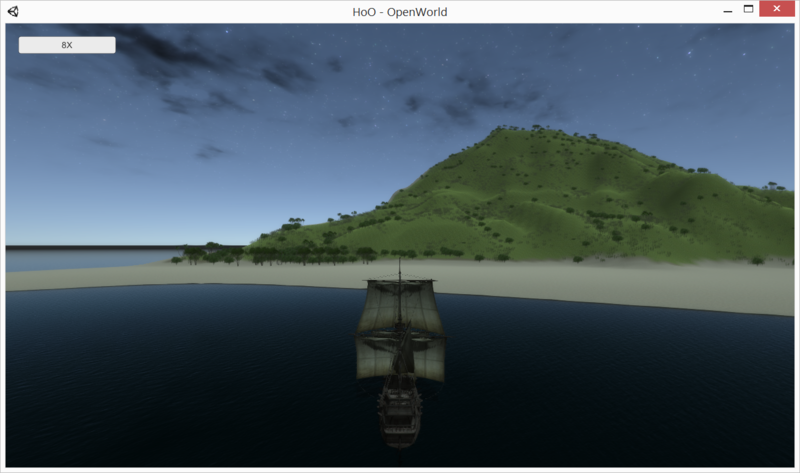 JohnSilver has also built a new internal POC Open World demo for sailing between islands. 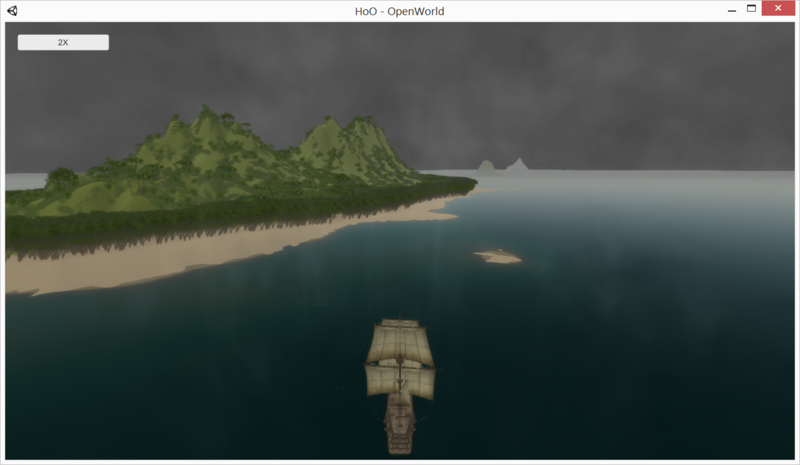 There is still quite a lot to work out, such as island and ship scale, time scales and time compression, engagement distance and quite a few more. 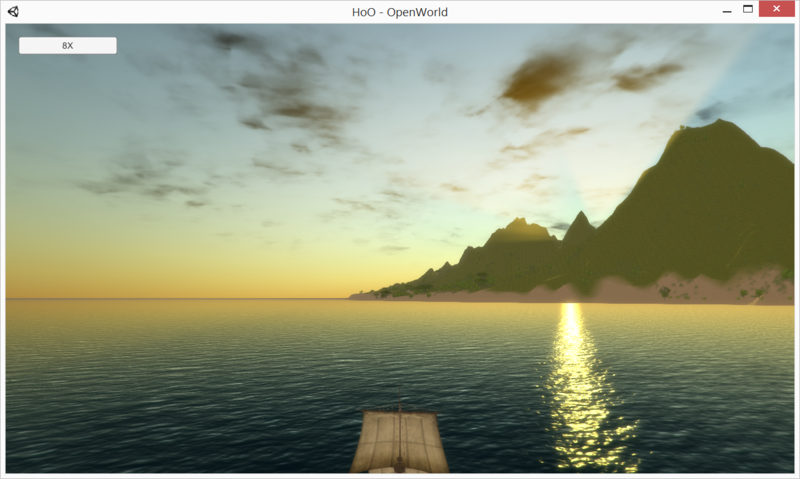 It is not quite ready for a public release, but here are some leaked screen shots to give you an idea! We have also had several new pieces of music created over the past couple of months that are absolutely fantastic! Here is a bit of a preview of one that Tempesta is working on, it is not finished and it is very much a work in progress. Please click on the link below to hear the sample. We have many awesome people working on some fantastic assets, and I am going to do my best to showcase as many of those as I can in these articles moving forward! 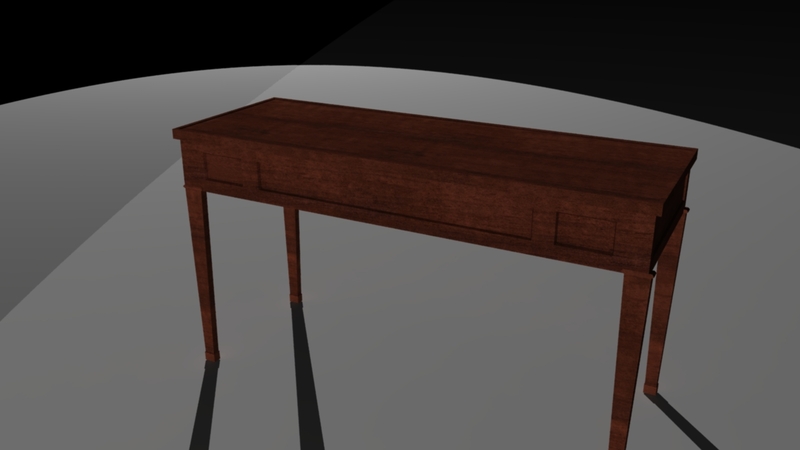 We have also started some background work on a quest storyline for the demo. You got a bit of a preview of the start of the quest system in the last demo. This storyline will be exclusive to the demo, and is mainly designed to test out as many game mechanics as we can squeeze in. That's about it for this month, we will be working hard to get a new Pre-Alpha demo out as soon as possible. In the meantime, please feel free to leave feedback or join our forums and have a look around. Everyone is welcome on our forums, regardless of modding skills, or lack there of. As always, we are looking for volunteers to help us with Hearts of Oak! We always need programmers and 3D artists, but we need people with other important skills as well. If you would like to give us a hand, please feel free to have a look at Armada's post over on our IndieDB page! It has quite a bit more information on how you can help us out! Great post! Glad i can help test this project. Thanks for the encouraging comments, they are very much appreciated! We have a long way to go, but your support will certainly help get us there!